Being a rescue dog, I'm always interested in reading stories of other rescue dogs. 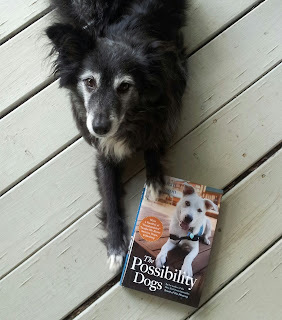 So when the nice folks at Houghton Mifflin Harcourt asked me to review the new book, 'The Possibility Dogs: What a Handful of "Unadoptables" Taught Me About Service, Hope, and Healing' by Susannah Charleson, we jumped at the chance. You may remember Susannah Charleson's first and very popular book, 'Scent of the Missing,' the story of Susannah's efforts to become a search and rescue volunteer, her adoption of her S/R dog Puzzle, and their tails as they search for the lost--a teen gone missing, an Alzheimer's patient wandering in the cold, signs of the crew amid the debris of the space shuttle Columbia disaster. After one very challenging search, Susannah began to suffer the effects of PTSD, and soon discovered just how much Puzzle helped her through the process of healing. This led her to a new mission, to discover, understand, and begin to dive into the good work that adopted dogs can provide as psychiatric service dogs, helping adults and children through a wide variety of life's challenges. 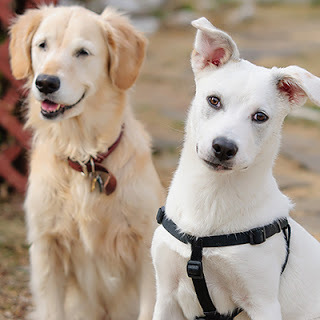 The book tells the stories of many seemingly unadoptable dogs and how they've since changed lives, along with the Susannah's adventures in training other adoptables for a working dog life of a psychiatric service dog. Thank you so much for your kind words, Johann! We are honored to be here and love the feisty photo of you and Jake Piper. Thank you for all you do on behalf of your fellow canines and the good people who love them.